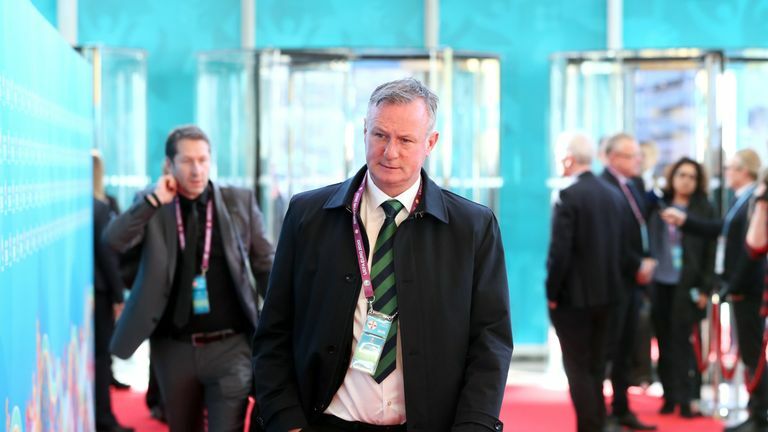 Michael O'Neill says Northern Ireland are already in must-win territory as they prepare for the start of the European Qualifiers. O'Neill's side begin their Group C campaign at home to Estonia on Thursday, with Belarus visiting Windsor Park three days later. Both games are live on Sky Sports Football. Northern Ireland play the same opponents in the return fixtures in June and O'Neill says they must capitalise before taking on the group's top two seeds - Germany and the Netherlands - in their final four matches. "These first four games are essential to us," said the Northern Ireland manager. "It is getting that belief into the players, and into the public as well. The way the fixtures have come out in the group, we have the opportunity to be ahead of Germany and Holland when we play them both. "If we can get the points we aspire to have in the opening section of the group, we then have a massive four games at the back end and that is going to be very exciting. "I think they are [must-win]. You can always make up ground but it's much easier for smaller nations to be at the front and to have that momentum. "It's harder to come from behind and the way the fixtures have come out in the group, we have the opportunity to be ahead of Germany and Holland when we play them both. "Then the dynamics of those games potentially change. But that's all for way down the line." O'Neill says Corry Evans' hamstring injury is "improving all the time" but will not risk the Blackburn midfielder against Estonia if he is not fully fit. Evans is O'Neill's only injury worry but the 49-year-old is concerned about the form of some of his players due to their lack of first-team opportunities with their respective clubs. "The difficulty is you never really know where your players are," he said. "It's hard because you can't tell whether they're in form or out of form based on the fact that their game time has been limited. "But players who have come to play for Northern Ireland have been able to leave that behind. It is a totally different scenario from their clubs. They play with confidence, creating the energy that we expect and need. "We've had a good couple of days. It has been a very short preparation time. I believe we'll pick a team that can win the game."